How are you spending your Victoria long weekend this upcoming week? If you are like any proud Canadian your plans include family, good friends, good food (barbecue anyone?) and some good old-fashioned fireworks. It’s time to add one more crucial aspect of these activities to the list, the Danforth Village. Danforth village offers a variety of fun and exciting places to celebrate Victoria Day with your loved ones. There is no better way to celebrate the Queen than to visit such a vibrant and hopping community like the Danforth area. In honor of the May Two-Four weekend, for every two shops and activities offered to you by Danforth, I will give you four reasons why they are so special, unique and fun for this upcoming holiday. The first two shops will be the St. Clair Ice Cream Factory Outlet and the Country-Style Deli Bistro Café. As promised there are four solid reasons why these shops are a must-go. 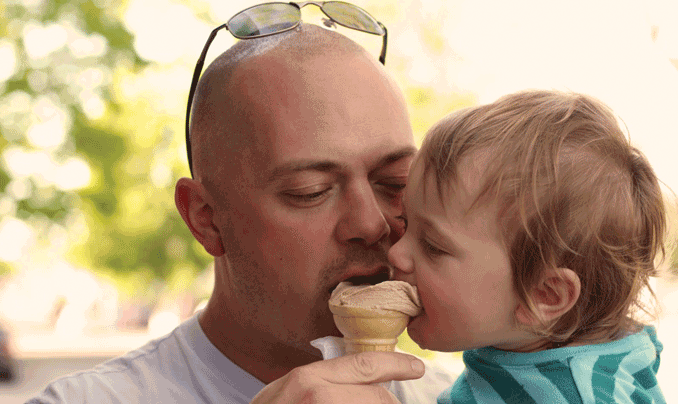 Number 1: Canada has finally given us some sun, so it’s time to celebrate with some ice cream. Number 2: this Ice cream shop offers unique and traditional ice cream flavors coupled with all natural gourmet cones. It’s delicious, savory and will add some sweetness to your weekend. Now that’s Canadian! Number 3: this weekend is going to be a whole lot of fun, which is going to take a whole lot of energy, in other words,…coffee! The Deli Bistro only offers carefully selected 100 percent Arabica Coffee beans promising excellent quality every time. Number 4: just because were talking coffee, this does not mean anyone expects you get up early. That’s why bistro Deli offers all day breakfast, so come in late afternoon or evening (heck why not!) and indulge in some savory and rich breakfast classics. The next two featured shops will be Target and Starbucks. The good thing is, that Starbucks is actually inside the Target, hitting two birds with one stone. Now here we go with the four reasons why these two places are a must-see. Number 1: with family barbecues just around the corner you’ll have to restock on lighter fluid, matches, lawn chairs and much more available at Target. Number 2: Free parking anyone? Number 3: Target is a very unique establishment and chances are even if you don’t need to restock, you’ll enjoy browsing through all the different merchandise. Number 4: While shopping, if you start getting tired you can refresh with a caramel latte from the Starbucks located inside. May Two-Four Weekend is a weekend many Canadians look forward to. It’s a chance to unwind, relax and enjoy time with family and friends. The Danforth Village is the best place for that. It is family oriented and has an exciting array of different activities and shops. Come out to the village and it will give you your much deserved weekend with the excitement to make it memorable.